I can imagine that career changes after cancer are quite common, because there’s nothing quite like a brush with death to make you reassess. I’d wanted to be an author ever since I was a young child, but it’s not an easy thing to be, so I’d settled into a back-up career as an online copywriter and editor. In the background, I was writing. I was trying. But it wasn’t working out. I’d completed an MA in Creative Writing in 2004 and had been trying to write a novel, on and off, ever since. I had two novels sitting inside my computer. But it seemed that nobody wanted to publish them. I felt beaten. I’d poured myself into them, and they weren’t enough. And then, in April 2016, while pregnant with my second child, I was diagnosed with breast cancer. I stopped writing creatively during those foggy treatment and newborn days, and wrote a blog instead. A friend asked whether I’d ever thought about doing NaNoWriMo (National Novel Writing Month), which takes place every November and requires participants to write a 50,000-word first draft of a novel in a month. I said it was impossible. I was finishing chemo in October, having my ovaries removed in November itself. My son would have just turned three and my daughter would be five months old. I tried to dismiss the idea, but it nagged at me. 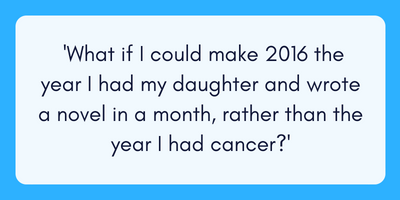 What if I could make 2016 the year I had my daughter and wrote a novel in a month, rather than the year I had cancer? I decided on Halloween, while trick or treating with my son, that I was going to give it a go. And to hold myself to it, I set up a Just Giving page and invited people to sponsor me to write those 50,000 words. The proceeds would go to Mummy’s Star, a charity that had supported me. November 2016 was tough. I had to write almost 2,000 words every day. I couldn’t get behind. Sponsorship was at £2000, and I simply couldn’t fail. Every evening, once the kids were in bed, I wrote. Sometimes I couldn’t remember what I’d written the day before; sometimes my eyes were closing. And while much of what I wrote that month was nonsense, there was a rawness to it, and real pain. There was something. I’d come fairly close to publication with the second novel I’d written. I’d had an agent but it hadn’t sold. A friend who’d read it said she thought it was too good to give up on, so in early 2017 I pitched it to a couple of smaller publishers. I was nervous. Hadn’t I already been told it wasn’t good enough? But my stubbornness and persistence were rewarded when both publishers asked to see the full manuscript. And then in September, I met with Agora Books, and they told me they wanted to publish it. That novel is now my first published book, Missing Pieces. What’s more, they took my first and third novels, too. And they’ve just sold the audio rights for all three, which is more than I ever expected. I’m so proud, and so grateful. It’s too early to say whether I’ll be able to continue as a full-time author from now on. My children are still very young and I currently split my time between looking after them, writing novels and running the Motherload book club. I’m in the fortunate position that my husband is able to support us financially for the time being. And I realise that from that position, it’s easy to advise others to go ahead and chase their dreams, but I genuinely believe that if there’s a way, you should take it. I love hearing or reading stories about people who found their career in their 40s or 50s. To anyone who’s keen on getting into novel writing, I’d say this: yes, it’s tough. There will likely be many rejections in your future. But if you want it enough, you’ll keep going until you get there. Hone your craft, connect with other writers, take advice. Keep going. Another draft, another submission. 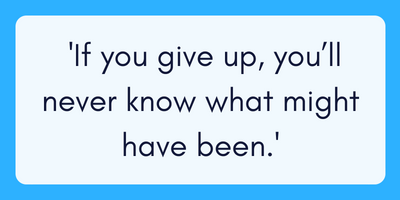 If you give up, you’ll never know what might have been. Laura Pearson was diagnosed with breast cancer two years ago. She lives in Leicestershire, where she blogs, writes novels and flash fiction, and runs around after two small humans. 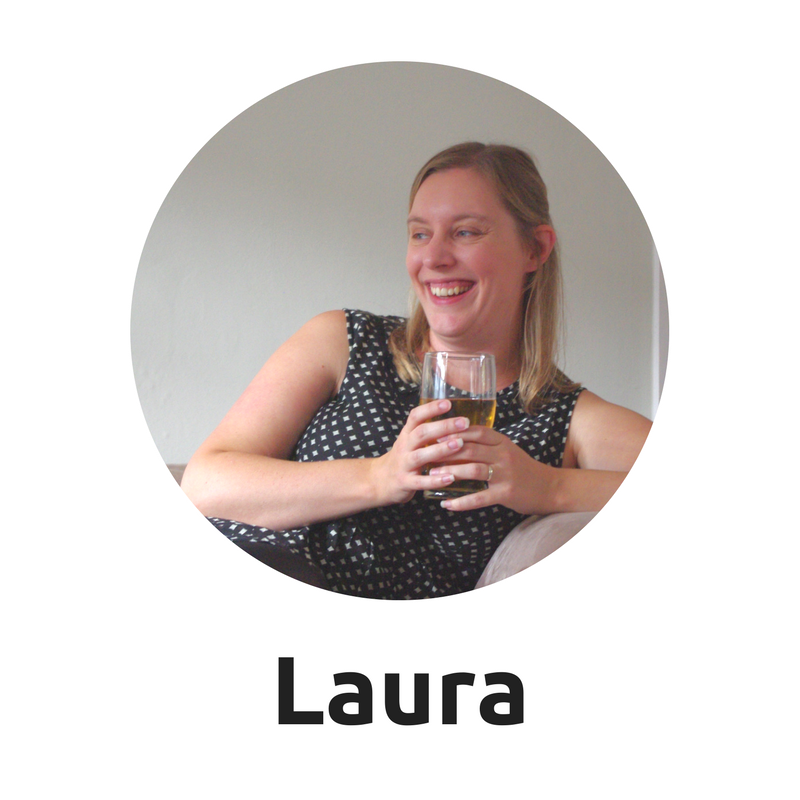 She’s also provided some great advice for The Cancer Survivors’ Bookclub, so thank you, Laura! When we first spoke to her, she didn’t seem to give herself enough credit for all she’s accomplished. 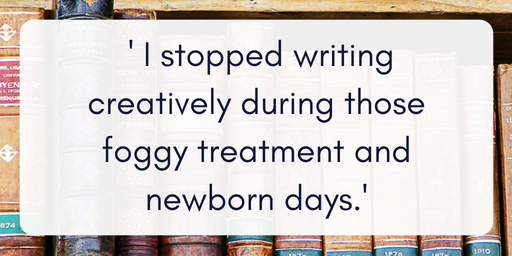 Frankly, we’re totally in awe of her perseverance: writing 50k words straight after chemo and with two young kids is brutal. And those soul destroying days of pitching and rejection are tough for anyone, but unimaginably hard for one facing something as confidence-knocking as cancer. This is fabulous. I was eyeing up NaNoWriMo (though possibly memoir rather than novel) when I relapsed with leukaemia -- and have been making excuses ever since. So impressed by your determination -- and now really want to read your books! Thank you, and I hope you get back on track. Wow this is just like reading what I want in life!! I am 11 months post treatment for Breast Cancer, have two children, and I want to try and write more, and get my 40k memoir I started writing 8 years ago (put it down for 5 years!) published somehow. Reading this only reiterates what others have said to me - you MUST do something with this. Breast Cancer has made me realise I definitely should! Congratulations on your success so far. Thank you, and good luck with your writing. Don’t give up until you get there!